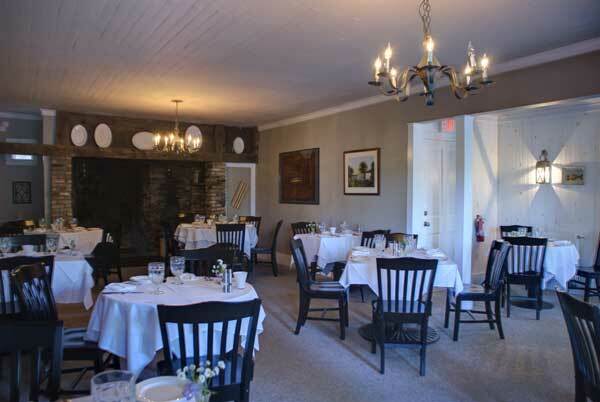 The main dining room of the Poolville Country Store comfortably seats 50 at tables covered with crisp white linen, subtle candlelight and fresh flowers from our own perennial gardens, season permitting. Simple solid black farm house chairs finish off the elegant setting. At the far end of the dining room is an old, walk-in fireplace, the radiant glow and permeating warmth, truly is a welcoming comfort. The private dining room located on the second level was originally used for the storage of merchandise and dry goods. An old elevator shaft and wooden pulley remain suspended from the high flanked ceiling. With its solid, hand-hewn beams and eighteen inch wide floorboard, it is a reminder of times long gone by. Comfortable seating for 20-25 makes this room ideal for that perfect gathering or an intimate dinner party with friends and family. Ambient lighting and fireplace compliment the room nicely. 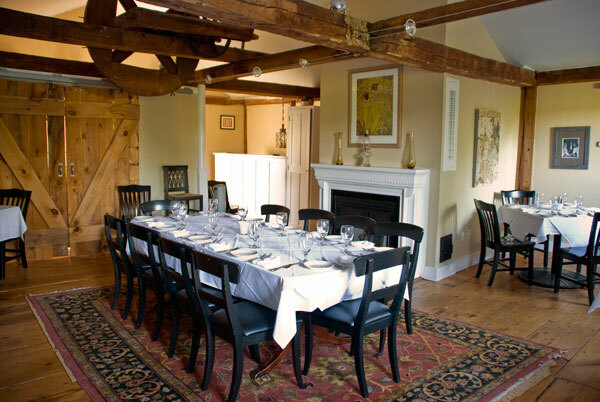 It is completely secluded from our main dining room, which also may be reserved for larger parties.